Since its first inception, the Razer DeathAdder continues to offer gamers the most comfortable gaming experience ever. Its contours and curves are perfectly designed to fit snugly under your palm, or control just as well with a claw-grip; while its two large main buttons offer the most effortless clicks to your fingers. The mouse is designed in a matte black finish that prevents sweat build-up and promotes better grip. 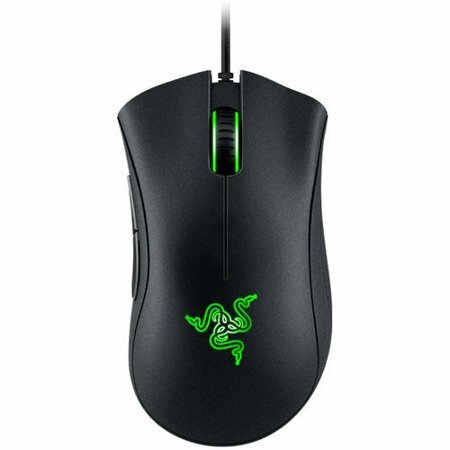 The Razer DeathAdder Expert is equipped with a 6400 DPI 4G optical sensor. It is capable of mouse movements of up to 200 inches per second and 50 g acceleration, meaning you can move it at either fast or slow speeds, and it will always respond onscreen with exacting accuracy and the organic fluidity only possible with optical sensor.